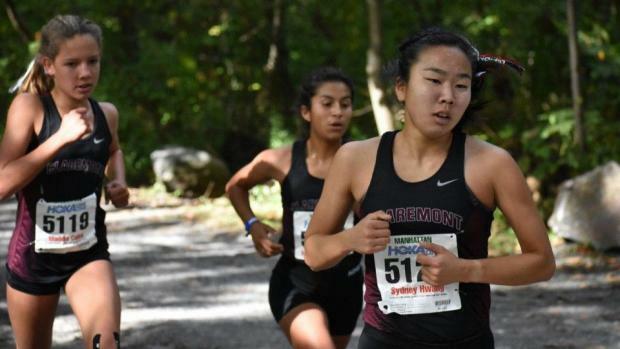 With only five weeks until the Southern Section divisional finals, here is what we know thus far about the top girls' squads! Great Oak has lived up to expectations and match all projections going into the season. There is no team in Division I that can match them and at this point, our unofficial over/under line for the Wolfpack is 50 points at the divisional finals! Meanwhile, freshman Maddie Coles has elevated an already great Claremont girls' team, making them the overwhelming favorites to capture another Division II title next month. With that in mind, Division II is, by far, the most dominant in the Southern Section, boasting five of the top seven squads on our Top 20 Team Rankings (updated below)! Great Oak and Claremont are the top two squads in California, both ranked among the top 10 squads in the United States and assured NXN berths at this point in the season. Will these two 'Wolfpacks' match against one another at Mt. SAC this weekend? In our own personal Southern Section merge, featuring the top 30 teams, we have Great Oak projected to score 30-35 points better than Claremont. We know the Milesplit national rankings say otherwise, but we are basing this on our own subjective numbers that are based on every major race they've competed in this season. Another highlight thus far? Every coach always hopes for that incoming freshman that can help their team for the upcoming season. Eight of the top 10 squads in the section have had freshmen girls step in and make immediate impacts! Maddie Coles (Claremont), Emma Hadley (Canyon-Anaheim), Devyn Candaele (Vista Murrieta), Tiani Goeson (Serrano), Dalia Frias (Mira Costa), Alexis Fernandez (West Ranch) while in the last two weeks, Kasey Lynd has boosted El Toro's crew while Brooklyn Bendrat has now joined Isabella Duarte up front for that Saugus crew! Becoming aware of most of the new additions over the summer, our preseason projections have not seen too much adjusting. Great Oak continues to dominate Division I, while it is still fluid in regard to what other six squads will move on to Fresno next month! West Ranch and Burbank are two of the most improved squads in the division but it is, as a whole, wide open for those seven spots to Fresno! The top squads in Division II area actually stronger as a whole than we anticipated. It will be an amazing fight for second place at next month's finals as less than 20 points separate our next four squads, behind Claremont, in that division! Palos Verdes is the only headliner out of Division III thus far. With that, a strong core of teams have assembled behind Foothill Technology, making this year, perhaps, the best group of state meet entrants we've ever seen out of Division IV! With that in mind, El Segundo has moved up our overall section team rankings this past month. Division V is always the most difficult to peg down but St. Margaret's has emerged as a slight favorite over Flintridge Prep thus far. As we are weeks away from the postseason, we have provided you with team summaries and breakdowns of our Top 20 teams!